Seller transferred and is ready for offers. This 1980s 3 bedroom 2 bath home has a Home Warranty and seller will give a repair and paint allowance of $5000 for a Full Price Offer as it needs a little TLC. There are tile floors throughout and so easy to keep clean! The tree&apos;d, corner lot has plenty of space to enjoy afternoons under the big oak trees. 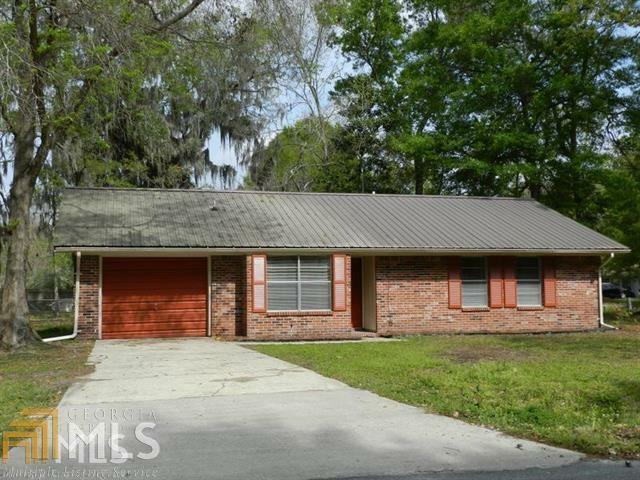 See the potential of this home with good bones; the all brick exterior and metal roof. Newer kitchen appliances. New Hot Water Heater is less than a year old. Termite contract can be assumed by new owners from Turner Pest. Home is located on the backside of Woodhaven subdivision. Directions: From Hwy 40 East Of Hwy 17, Turn Right On Woodhaven Dr. Continue To The Back Of Woodhaven And The House Is On The Corner Of Woodhaven Dr & Windtree Ln Or Go To The Second Entrance To Woodhaven Which Is Windtree Ln And Follow To The End. Home Is On Left.